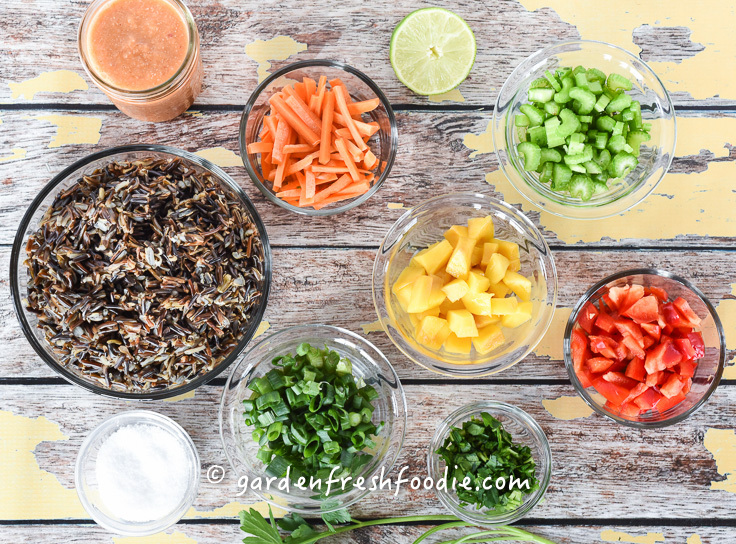 I wanted to create a colorful rice salad to go along with some black bean tacos I was making. 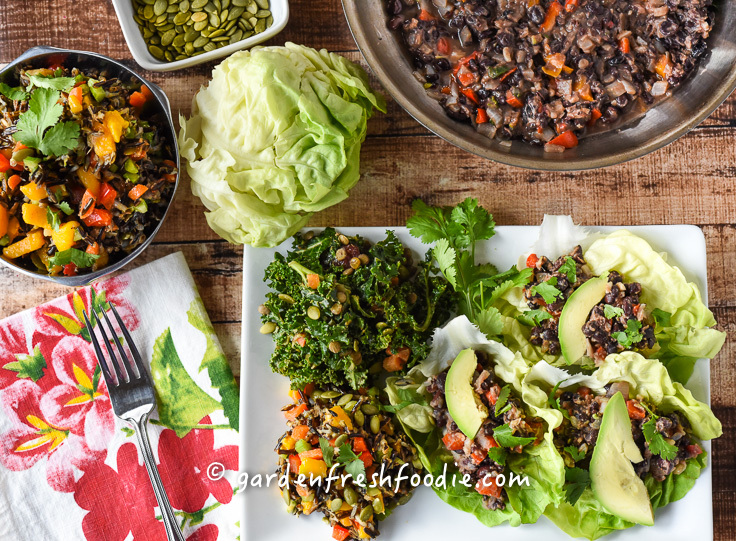 This salad is flavorful and beautiful! It packs in the antioxidants too! 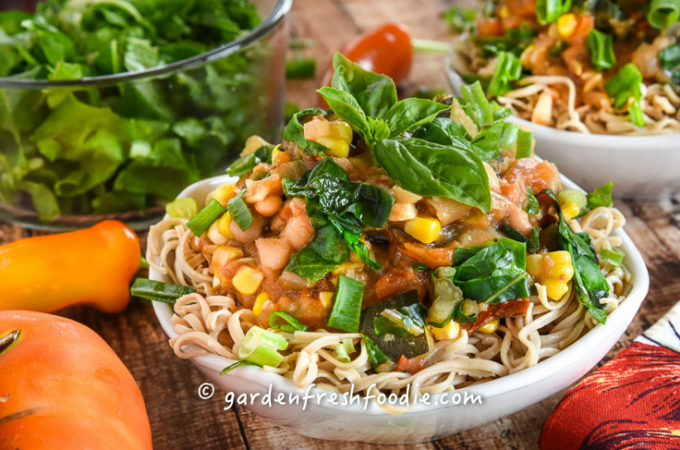 Red peppers, mangoes, carrots, and green scallions provide the rainbow of color. 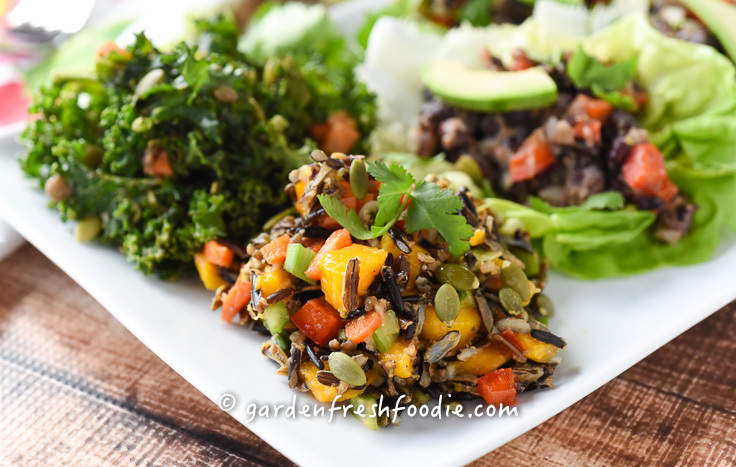 Lately-I guess I’ve been seeing rainbows, like my Rainbow Kale Salad! Wow-these would actually be awesome together, now that I think of it! 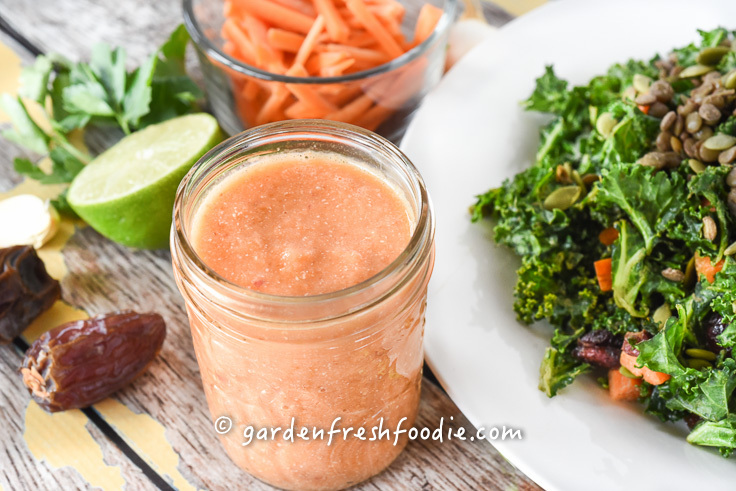 The carrot ginger dressing that I made for this is super easy to whip up and, unlike most dressings, you can actually have it as a smoothie it’s so good for you! 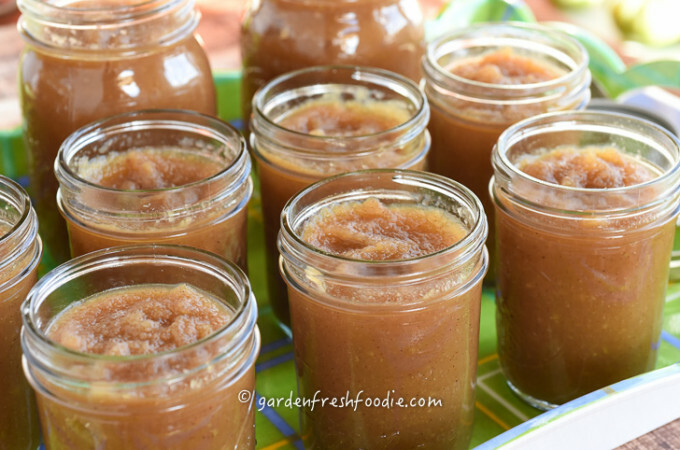 For a sweeter dressing, omit the onion, and you’ve got a smoothie or a sweeter dressing! 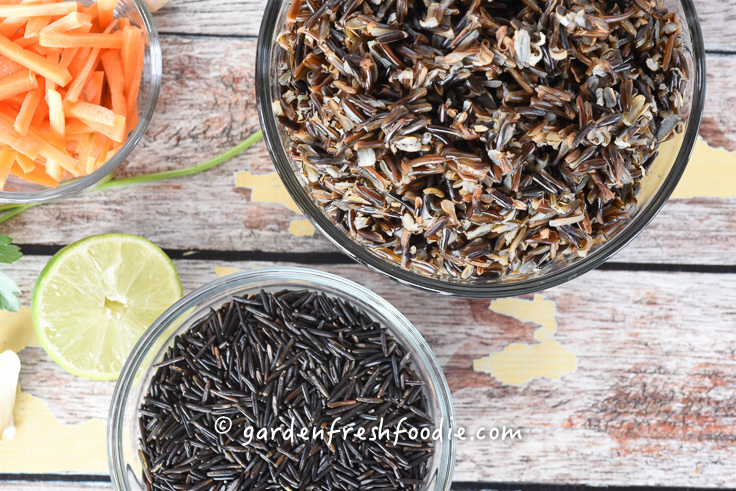 For rice salad base: cook rice with 2 cups of water, preferably in a pressure cooker. If rice cooker or pressure cooker, bring to pressure, reduce heat to low and and cook 12 minutes, turn heat off and allow heat to drop. 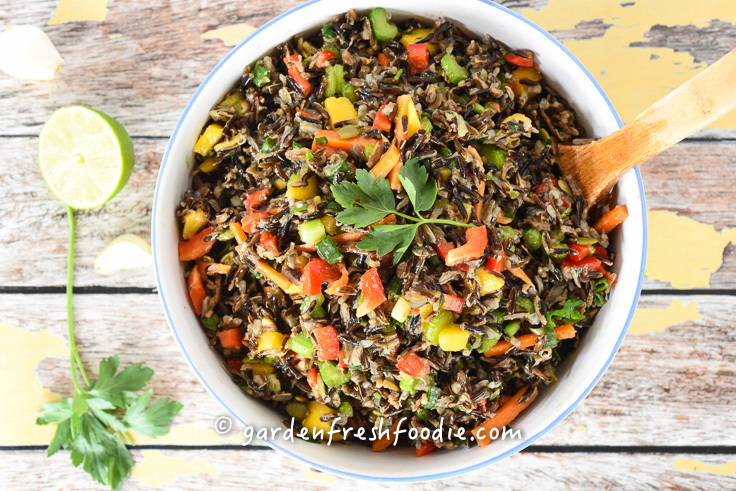 Alternatively: bring water and rice to boil, reduce to low and cook until water is absorbed and rice is chewy, not mushy, about 45 minutes. This can be done ahead of time, 1-2 days. 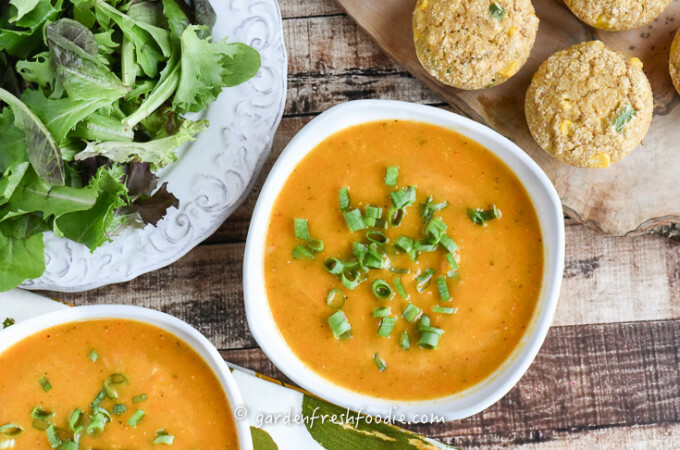 Serve with Black Bean Tacos or a big kale salad and this root veggie soup! 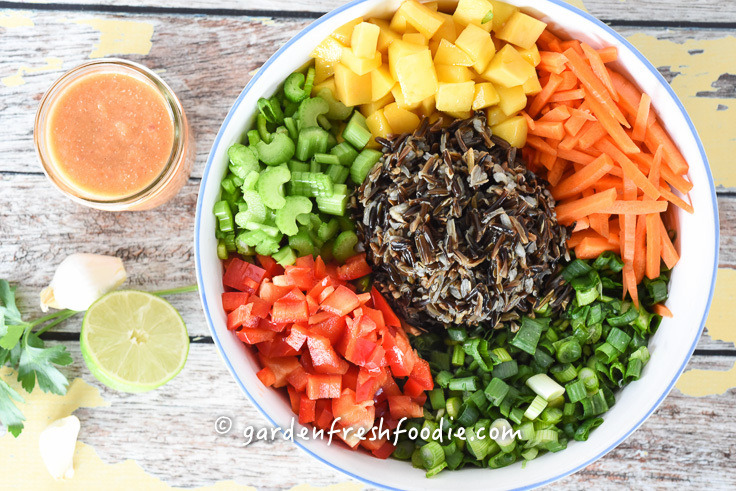 A colorful rice salad with mangoes, peppers, scallions, and herbs-perfect as a side dish with a plate of black bean tacos! 293 mg potassium, 72% Vitamin C, 64% Vitamin A, 6% iron, 3% calcium per 6 servings, using ½ of the carrot ginger dressing recipe.